Darkness cannot hide Your face from us. The Comfort Retreat was full of revelations. One came into focus after I had been interrupted by two of my passionate, troubled friends who found me while I was otherwise occupied. Normally I would have been disappointed. A retreat should be a space free from other occupations. But as it turns out, the interruptions became a vital part of what the Lord was growing in me. Here’s my lesson (you probably already realized it): There is a big difference between anxiety interrupting my retreat and a retreat interrupting my anxiety. I need to live in Christ where people can meet me; I don’t need to take short trips from where I live to meet Jesus for a little while. I hope some others who shared the time will offer some of their own takeaways. Our dialogue at the end was full of profound thoughts, deep feelings and satisfying empathy. We were not really there just to learn something (which we did). We were there to be someone: comforted, resting, loved, healed. We were the available cohort who could admit their distress or grief and dare to let the retreat open a channel for God’s grace. You’ll probably see a variation on this retreat again. The small team that formed: Ellen Szczesniak, Angie Petersen, Branden Bauer and me decided we liked working together. Plus, we realized that we and our friends need a spacious place to keep healing. Our time was knit together with some of the songs Angie has written over the years. I’ll leave you with one set of lyrics that are staying with me. Darkness cannot hide your grace from us. Because you shine, (you shine) over us. Thank you for your love and peace for us. Thank you for your care and love for us. Because you shine (you shine) over us. I live in that light. 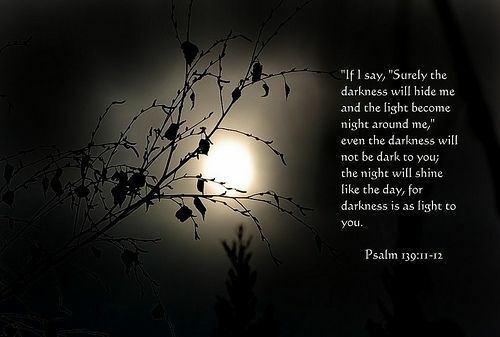 Should darkness visit me, I’ll invite it in to the light so Jesus can shine over it, too. Simple right? Let’s try it.